The highly popular initiative is now live and will offer golfers who purchase three dozen Pro V1, Pro V1x or AVX golf balls, one dozen free on purchases just in time for the start of the golf season. Golfers will be able to place a personalised message upon all golf balls purchased and will be invited to select either their preferred standard (1-4, 5-8) or Special Play numbers (including 00 and 1-99). 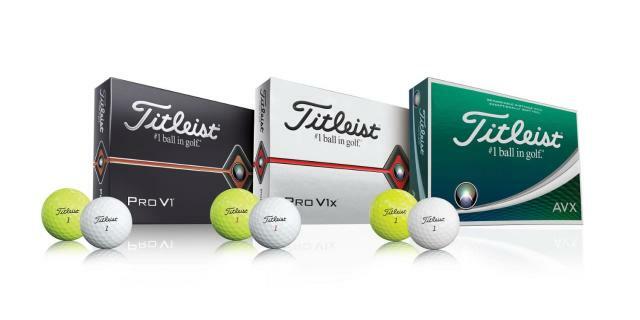 Additionally, for the first time since the promotion started, Titleist will be providing the opportunity for golfers to choose non-personalised, standard play number Pro V1, Pro V1x or AVX golf balls in Limited ‘sleeve only’ Loyalty Rewarded Packaging. To find out more about Titleist’s industry-leading golf ball family, visit www.Titleist.co.uk.